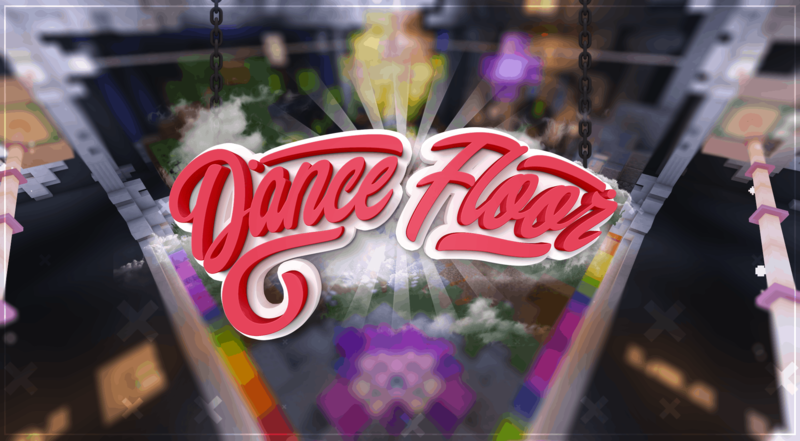 Dance Floor is a highly engrossing Minecraft map that’s been built for the audience looking for something they can sink countless hours into. This is a fun filled map that’s loaded with many different kinds of mini-games that players can engage themselves with and the best thing about the map is the fact that every single one of its mini-games supports multiplayers so you can invite your friends to play along with you and this, of course, is going to enhance your overall gameplay experience by a tremendous amount and it gives the map a great deal of replay value as well. The Dance Floor map consists of eleven different mini-games that range from being as straightforward as simple true/false quizzes to being as engaging as a dance competition in which players have to knock others off the floor while maintaining their foothold for as long as possible. Regardless of the mini-games you play, though, you’re definitely going to have a delightful time with the Dance Floor map because each one of the mini-games in it has been crafted with perfection and they all feel quite smooth to play as well. It’s worth highlighting that the Dance Floor map comes with its own custom resource pack that’s been designed to provide players with distinct visuals alongside the engaging gameplay. Up until now, the Dance Floor map hasn’t seen any major bugs or glitches so it’s unlikely that you’ll experience any throughout the entirety of your playthrough. The map’s available for Minecraft 1.13.2 so you’ll need to be on the same version of the game in order to play it. All said and done, Dance Floor is a highly engaging map through which you’ll be able to spend countless thrilling hours along with your friends as you enjoy all the different mini-games. How to install Dance Floor Map?